As far as weddings go, it was a grand affair. The bride wore dazzling white and was beautiful, the groom was dashing in his dinner jacket, the families and guests were thrilled, and the festivities were joyful. Oh, and one more thing—the nuptials made a bit of history. “Read all about it” marriages in England generally involve royalty, rock stars or sports celebrities. But on February 23, 2014, the “who” were a little overshadowed by the “where” and the “why”. The wedding of Louisa Hodkin and Alessandro Calcioli, both 25, took place at 146 Queen Victoria Street, a 148-year-old building in the heart of London, a short stroll from St. Paul’s Cathedral. The Queen Victoria Street building, like St. Paul’s, is a British home of a global religion. St. Paul’s is revered by followers of the Church of England; the grand Queen Victoria Street structure is revered by Scientologists. What made Hodkin’s and Calcioli’s wedding historic was that it was the first time Scientology vows were legally endorsed in a chapel of the religion in England—made possible by the sweeping recognition of Scientology as an established religion in the country. The ruling by the highest court in England addressed a long-time failure of the courts to endorse religious liberties, and affirmed Scientology’s lengthy and storied history in England. 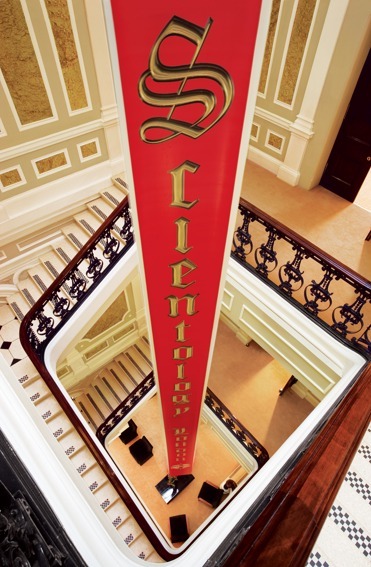 The landmark wedding also cast a spotlight on Scientology’s London Church. 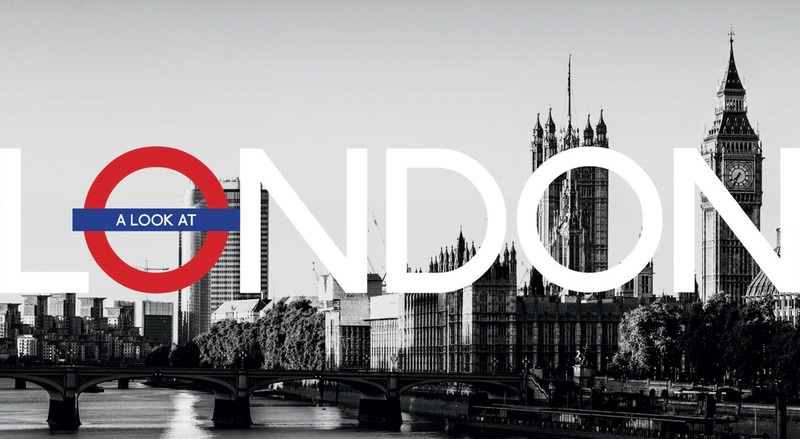 The London “Ideal Organization,” or “Ideal Org,” is a catalyst for major human rights, anti-drug and other social betterment programs in the city. It was against that dramatic backdrop of religious and social aspiration that Hodkin and Calcioli took their vows in the Queen Victoria Street Church, bringing to an end more than four decades of discrimination that had prevented them from solemnizing their wedding vows according to the rites of their own Church. The couple have known one another since they were infants—both grew up in Scientology and became Church volunteers in their teens. Romance blossomed, and they shared their first kiss on Hodkin’s 18th birthday. 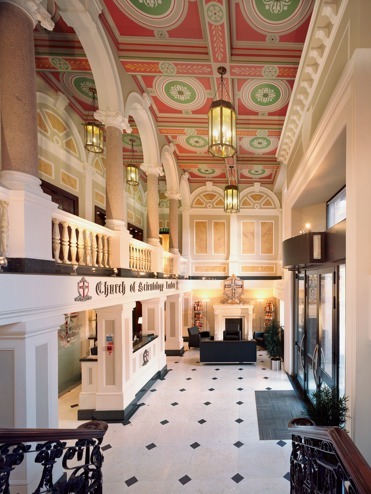 But their dream to wed in the building they regard as holy ground fell afoul of a 1970 court ruling in England that a Scientology chapel was not a place of meeting for religious worship, as that term would have been understood by the legislators of the 1855 Places of Worship Registration Act. Five years ago, when the couple first sought to wed, London officials cited the 1970 ruling as justification to deny the wedding—and the young couple took legal action. Ultimately, the English Supreme Court said “we do” to tolerance and freedom, and gave the couple their most sought-after wedding present, a ceremony at their religion’s Church. 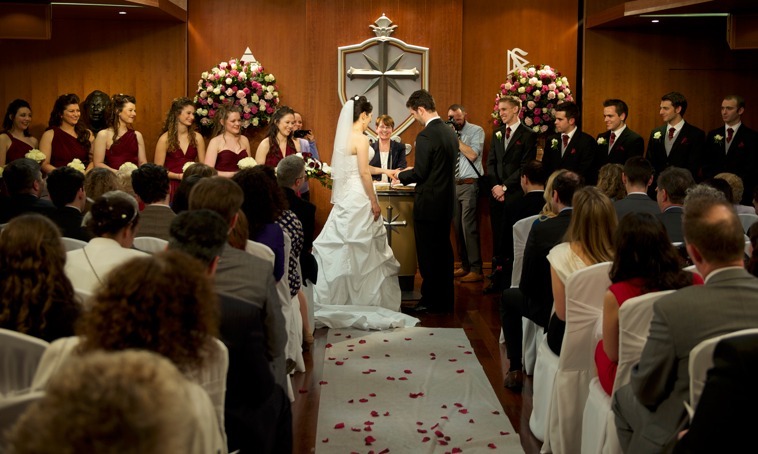 Friends, family and supporters gathered at the Church of Scientology of London to celebrate not only the first legal English wedding to be performed by the religion but a bold statement about religious liberty for all British subjects. Those simple words asserted that Scientology was vested with all of the legal rights of a religion. Lord Toulson, delivering the unanimous judgment of the five Supreme Court judges, wrote in the landmark decision striking down religious intolerance: “Religion should not be confined to religions which recognize a supreme deity. To do so would be a form of religious discrimination unacceptable in today’s society. It would exclude Buddhism, along with other faiths such as Jainism, Taoism, Theosophy and part of Hinduism.” He went on to say that the expression “religious worship” included religious services of any kind. “It has been a long, five-year battle to achieve a simple freedom—the right to marry in our own church with a service in accordance with the rites and customs of our religion and surrounded by our friends and family. “We are pleased and proud that our victory brings to an end inequality and unfairness, not just for Scientologists, but for people of all faiths—because the Supreme Court [has] now provided a definitive description of what a religion is, which had not existed before in English law. History is a series of steppingstones, and the Scientology religion’s ascent in England began in London in 1952, when Founder L. Ron Hubbard established the first U.K. organization. Much of Mr. Hubbard’s Scientology research and writing was done at Saint Hill Manor, a 1792 estate near East Grinstead, Sussex. Saint Hill remains an international focal point for the religion, and each October hosts the International Association of Scientologists celebration, attended by upward of 7,000 members every year. “I can depend on London,” wrote L. Ron Hubbard in a letter in 1953, and “I have learned that people needing help can depend on London,” relating why he had chosen the city as the first administrative home for the Church of Scientology. 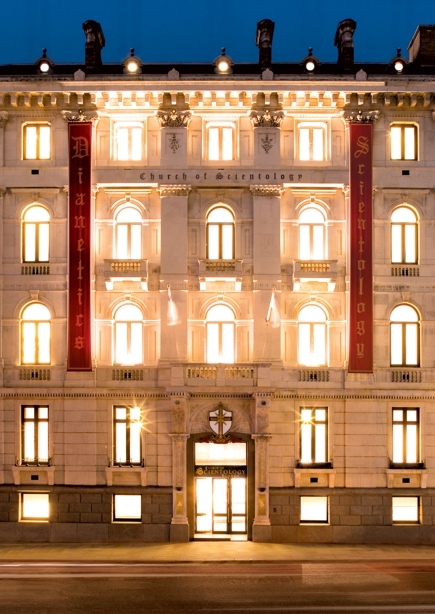 Echoing Mr. Hubbard’s words, many Londoners depend on Scientology for the Church’s efforts to erase the scourge of drugs and to uplift society’s moral character. During the London Olympics in 2012, for example, Church members and volunteers distributed 1 million Truth About Drugs booklets to shops, community groups and organizations in 26 London boroughs. The distribution was part of a larger Church-supported campaign called The Truth About Drugs, which offers young people around the world the straight facts about drugs—their chemical composition, effects on the mind and body, and the havoc they wreak on one’s life, as conveyed in the unadulterated words of former users. “From police to the average passerby, individuals would take a booklet, read it cover to cover, come back to us and say, ‘I have never seen such a brilliant drug prevention resource,’” said Mark Pinchin, public affairs director of the London Ideal Org. “Everybody knows that drugs are a problem and they want to do something about it, but they don’t necessarily have the resources and materials to make it happen,” Pinchin said. Since the Olympics, nearly a million more Truth About Drugs booklets have been distributed by the London Church and other Scientology churches throughout the United Kingdom, augmented by drug education lectures and drug-free pledge-signing events. Media distribution of the message has reached 8.2 million Londoners. The Church has further conducted Truth About Drugs programs in a number of London schools and universities, and works with emergency service units on a variety of anti-drug activities. The London Church is also active in the area of human rights education. Its activities include hosting musical performances promoting human rights, distributing educational materials on the subject to schools and at public venues, organizing petition-signing events and human rights marches, and airing human rights public service announcements on U.K. TV stations. The campaign includes annual marches on International Human Rights Day, December 10. Volunteers march along the Thames, past the London Eye and to the front of the Houses of Parliament, promoting the Youth for Human Rights campaign and distributing booklets. A campaign utilizing The Way to Happiness, a universal common-sense moral code, is also spearheaded by the London Church and other Scientology churches in Great Britain. More than a million copies of The Way to Happiness have been distributed under the program all-told, including 50,000 booklets handed out during the 2011 London riots. More recently, in August 2014, Scientologists organized the second London Peace Walk through gang-ridden areas of the city. The success of the London Church’s social programs can be measured in Scientology’s growth in the city. Recognizing that, on October 22, 2006, the Queen Victoria Street Church achieved “Ideal” status within the religion, meaning it not only provides optimum facilities for Scientologists on their ascent to higher states of spiritual awareness and freedom, but that it also serves the entire community as a meeting place of cooperative effort to uplift people of all denominations. Inaugurating the London Ideal Organization, Scientology ecclesiastical leader David Miscavige remarked: “This Church represents a force for preserving and bettering lives—our gift of literacy to disadvantaged children, restoring self-respect to those who have gone astray, easing suffering, eradicating racial prejudice and repairing the bonds that bind men together.